Do you love Electronic Dance Music? Want to make your own tracks? We’ll walk you through what you need to know if you want to start recording EDM and make you see that it’s really not impossible for your songs to sound as powerful as radio hits created by some of the biggest names in the industry, such as Major Lazer, Calvin Harris, AVICII, etc. As a beginner in the world of EDM, you’re most likely troubled by the following questions: which equipment do I have to get? What’s the best software? Should I use PC or Mac? Desktop or laptop? What is a MIDI? We’ll answer all of these questions in the text below, and with some effort and will on your side, you’ll be able to sound as good as Skrillex soon enough. This article is intended for beginners, yes, but it also contains very helpful tips for those who have already entered the world of electronic music production. So, without further ado, let’s get down to business! Nowadays, producing music is accessible to virtually anyone. Back in the day, the entire process was really expensive and space-consuming, because you needed a whole lot of gear that you had to fit in somewhere. That is probably the reason why a great number of music enthusiasts preferred electric guitars instead of heavyweight, yet fragile synthesizers and bulky hardware. Over the past couple of years, though, large studios packed with gear have been replaced by a wide range of software that simulates it. That’s why computers can be described as the main instrument for creating EDM—a producer puts together different sounds using the Digital Audio Workstation (we’ll describe it in more detail later), which can be compared to arranging the pieces of a puzzle. After finishing the track, the producer exports out their work to an audible file, e.g. wav or mp3. A very important part of the electronic music culture is the Internet. Artists are paving their way to success by using services like Spotify, Soundcloud and YouTube to upload their works. Their everyday routine also includes sharing samples among each other and downloading software that audio manufacturers provided for online purchase. If you’re wondering how long it takes for an EDM producer to finish their track, there is really no unique answer. Depending on inspiration and skills, some artists can finish their songs in a matter of hours, and for others it will take weeks or even months. But, thanks to advancements in technology, today’s producers have a convenience of being able to save their work and come back to it later. Are EDM Artists Producers or DJs? People commonly use the terms “producer” and “DJ” as synonyms, but there’s a fundamental difference between the two. A music producer is someone who plays hardware and software instruments, creates arrangements and records all that on a computer. On the other hand, a DJ is a performer who plays tracks created by other people to a live audience (with vinyl turntables, for example). Of course, producers can also play music live, but they perform their original music and probably prefer not to be called DJs. So, the next time someone asks you (and they probably will) who your favorite EDM DJ is, they’ll most likely be thinking of a producer. To answer this question, you first need to understand what MIDI is. MIDI is short for Musical Instrument Digital Interface and it’s a technical standard which helps all the keyboards, pads, samplers and other musical gadgets in your nearby music equipment shop function. What’s interesting about MIDI is that this standard was adopted in the early eighties and hasn’t changed to this very day. MIDI is a standardized language that allows communication between electronic instruments and computers. Every time you hit a key on your keyboard, it is recorded on your computer. That recording contains information about loudness (e.g. how hard you hit the key) and pitch (the note that you play), but the best part about it is that by using different software, you can translate these information into various sounds. In other words, the same information can be used for a wide range of colorful synths, beats, glitches, etc. It’s really not that important whether you end up choosing a PC or Mac computer. With adequate knowledge, you can achieve the same quality for your final musical product. Performers that play live shows typically use laptops, simply because they are easy to carry with them when they’re on the road. Generally speaking, computers produced by Apple are more reliable, and that is the reason why they are the “weapon of choice” of many famous EDM artists. Things to have in mind when purchasing a computer for music production: plenty of RAM (16-32GB), a powerful processor (Intel i7, for example), a high-speed hard drive (SSD is ideal), and a large display (if not two) with a high resolution. Another piece of hardware that is essential to making music is the audio interface. Many people popularly call it the “sound card”, but it is actually an expansion that provides input and output of audio signals to and from a computer. Without it, you wouldn’t be able to use your MIDI controller or listen to your creation through the speakers. We recommend portable audio interfaces, such as Scarlett 2i2, that use a USB connection. There is a large number of MIDI keyboard or pad controllers available on the market. If you aim to create melodic themes (like on a piano), a keyboard controller is the perfect device for you. The pad controllers are generally used for beats, breaks and sample-based tunes. Our recommendation is to buy a controller that features both keys and pads, by manufacturers such as Native Instruments, Korg, or Novation. Last but not the least, you will need a good pair of headphones along with studio monitor speakers. The monitor speakers are designed to provide an accurate reproduction of sound, unlike regular HI-FI speakers that are made to sound GOOD, not accurate. Manufacturers: PreSonus, ADAM, Yamaha, etc. If you’re planning to record vocals and use the popular auto-tune effect, the best results are achieved with a quality condenser microphone, which is a very broad subject on its own that we’ll discuss on another occasion. The two most important software components of electronic music production are the DAW and virtual instruments. The DAW (Digital Audio Workstation) is used for recording, editing and producing audio files. This kind of application software supports devices that operate using the above-mentioned MIDI. The most popular DAWs for EDM music are Ableton Live, Logic Pro or FL Studio. There is a plenty of very useful online tutorials (on YouTube, for example), that can help you with your DAW of choice. Being a music producer requires a lot of proactive research, so don’t hesitate to do it! Virtual instruments and effects (sometimes called plugins) operate inside DAWs, and in most cases they are installed separately. They can be used for instrument simulation (as their name says), manipulating the color of the sound (equalizing), and many other audio production-related tasks. For example, Komplete 11 has become very popular among EDM producers as of late. Apart from creating original synthesized sounds and rhythms, EDM artists often use sampling and looping of other songs. As you may have already realised, audio production is an expensive kind of sport. You don’t need to buy all the equipment as a beginner—a decent computer, sound card, MIDI controller, headphones and reliable speakers will be enough to start you off. Here are some advices about the important aspects of the EDM genre (which can also be applied to other music styles): recording and producing vocals, arrangements and mixing. The key to becoming an EDM producer lies in learning how to use your DAW. As we said earlier, if you use a PC computer, FL Studio can be an excellent choice. If you’re a Mac user, you should go with Logic Pro X. Ableton Live is also very popular, and its advantage is that it’s compatible with both Mac and PC. The more DAWs you master, the better your skills and flexibility will get. Making music means that you’ll have a lot of fun, but before you start having fun, you’ll need to learn all the aspects of your DAW of choice. The best way to do that is to watch a lot of online video courses and tutorials, which include examples that you can try to replicate while you watch them. By saying learning to work in DAW, we also mean getting comfortable with using tons of different virtual instruments and effects that work inside of it. If you’re looking for something specific, like equalising your synths, compressing or adding reverb, then we recommend watching YouTube videos—there are literally thousands of videos available on the topic. If you want to gain more systematic knowledge, which will cover the music production from start to finish, then we suggest you subscribe to some of the online video courses. Coursera contains a large collection of courses created by prestigious universities and educational institutions, including everything related to EDM and music production, in general. Looking for the Perfect Singer? The vocals play a very important element in a track, if not the most important one. They are what makes music recognisable and memorable. So, if you decide to have singing parts in your EDM creations, then you should know there are many vocal sample packs available online. Every serious producer has their own large bank of samples, but keep in mind one thing—if you use samples, make sure you alter them enough to become your original work, using previously described plugins. 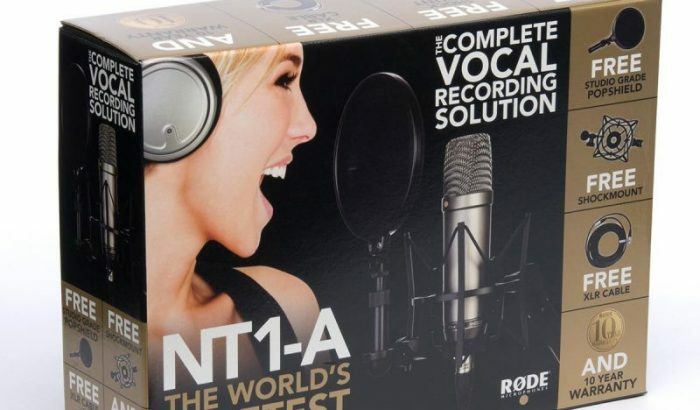 If you decide to record the vocals on your own, you’ll need an adequate microphone — Rode NT1A, for example, would be a good choice. The equalizer — used to adjust the balance of frequencies, from the lowest to highest, in order to make the vocal “shine”. The compressor — crucial for processing EDM vocals. You want your singer to sound consistent and equally loud throughout the song. Compression flattens the signal by making quieter parts louder and vice versa. Auto-tune — created by Antares Audio Technologies, auto-tune is a very popular tool in this genre. Almost everybody in the music production world uses it for vocal processing to some degree. It corrects the pitch of singing to create that recognisable, artificial sound. Reverbs, delays — this is where the fun begins! The spatial effects that make your vocals sound bigger and more powerful. Of course, it is possible to achieve good results in home conditions, too, but nothing is as good as recording and producing vocals in a professional studio. At Supreme Tracks, you have the opportunity to hire top session singers who will turn your vocal ideas into breathtaking tracks. We offer a full range of services to artists worldwide: from writing lyrics and arranging vocal melodies, to recording lead and backing vocals! In order to help those who are a little more versed in this matter, we’ll offer a couple of useful pieces of advice regarding using VST (for Windows users) or AU plugins (for Mac users). This will also serve as a useful reminder for beginners after they master their first steps. The general rule for equalizers — and for other effects, in general — is listen carefully and don’t overdo it. If your channel sounds good when you play it solo, and if it does not interfere with other channels in the mix, then it will not have to be treated with an EQ. The foundation of EDM is rhythm, so start from there. Use a high-pass filter to achieve clarity on kick drum or bass, by cutting everything below 40-50 Hz — this rule also applies to a whole mix! To emphasize the low-end, make a shelving boost of about 80-100 Hz. This is also a frequency that is important for the bass line, which is why many producers use side-chain compression, so that the bass and kick drum can be heard clearly at the same time. In case your mix sounds too “boomy” or “muddy”, you should consider lowering the range around 200-250 Hz. The range between 300 and 600 Hz can sound a little bit “boxy” if you boost it, so be careful with that. If you want your bass line to stand out, boost its channel around 700-800 Hz. Bringing out the range between 1 and 4 kHz will give presence to your keyboard or synth parts, add clarity to vocals, as well as the higher harmonics of your kick drum and snare. Cutting 5 kHz makes your sounds appear more distant, so it can be useful if you want to achieve that. Boosting this range will make percussive instruments really stand out. When you mix vocals, chances are that, in some stage, you will probably have to cut between 6–8 kHz to reduce sibilance. Everything above 10 kHz adds “air” to your channels or mix. Reducing dynamics (the difference between loud and quiet parts of the track) is probably what you want to achieve with your compressor of choice. After all, it’s one of the main characteristics of EDM production approach. Compressors are widely used on effect chains of individual tracks, and on final mixes during the mastering process. Be careful with attack and release time — if you set your compressor to attack fast, you will lose some of the transients on your beats. The ratio function serves to apply the amount of compression. For example, if you set it to 4:1, every 4 dB of your signal will be reduced to 1 dB—when the signal reaches above the set threshold. Don’t be afraid to experiment with the threshold function. If you set it too low, it will cause the “pumping” of your track. But maybe that is what you want to achieve: excessive compression, which was considered undesirable in the past, is now a very popular effect in electronic music. There are no rigid rules and dogmas when it comes to using reverbs and delays. It’s a matter of your taste. You are the one who gets to decide what kind of “reflection” suits your track the best, but you should always have one thing in mind: the spatial effects are generally inserted at the end of your effect chain (after the compressor and/or equalizer). Play with the “wet/dry” function to decide how much room, hall or plate reverb you will add to the track. If you want to create interesting, rhythmic effects using delay, experiment with the tempo function. If your song is 140 RPM, set the half-tempo or maybe double tempo (280 RPM) to see what will happen. If you are in need of VST and AU plug-in packages, check out Waves or FabFilter (in case you haven’t already). Your first EDM creations probably won’t sound as loud, powerful, colorful and crisp as those hits played on dance floors. A lot of practicing is required to master the art of finding the perfect levels for your beats, basses and synths, especially when mixing at home. While you’re figuring it out, consider an online collaboration with us — our EDM song production services cater to artists worldwide and provide nothing short of world-class productions at accessible rates. Just send us your demo, and our EDM producers will make your tracks sound as good as those played by a skilled DJ in your favourite club. Another important thing regarding electronic music is experimenting. You’d be surprised how much the atmosphere of a song can change if you throw in a different kick or snare drum, change the color of the leading theme, or if you slow down the song’s tempo. Written by Jullian P., Supreme Tracks’ music producer. Hi! I really enjoyed reading this article. One of the best “how to do EDM” posts on the web I’ve been able to find. And you’ve covered pretty much all the bases on the engineering side of things, even adding the “art” of side-chaining which is all over the tracks these days (that initially boggled my mind in the early days). If I may add one small thing, something that I’ve seen as *super*important* in producing EDM tracks is knowing the right BPM. Like you mentioned, there’s a lot of overlap between a “DJ” and a “producer,” and DJs rely on beat matching for seamless transitions just as much as EDM artists do. I know people that literally won’t start producing a track before figuring out the BPM first for dubstep or deep house. Pretty important, if you want your tracks on a club DJ’s playlist. Thank you, Rob. Glad you liked it!